The National Museum of the American Indian’s donor acquisition performance had suffered since the recession, and the two formerly strong co-control packages were starting to stumble. Avalon was tasked with finding a new and creative way to attract donors in a more cost-effective manner. We developed a package that touched on the greater mission of the Museum, referencing common misconceptions about Native American cultures. 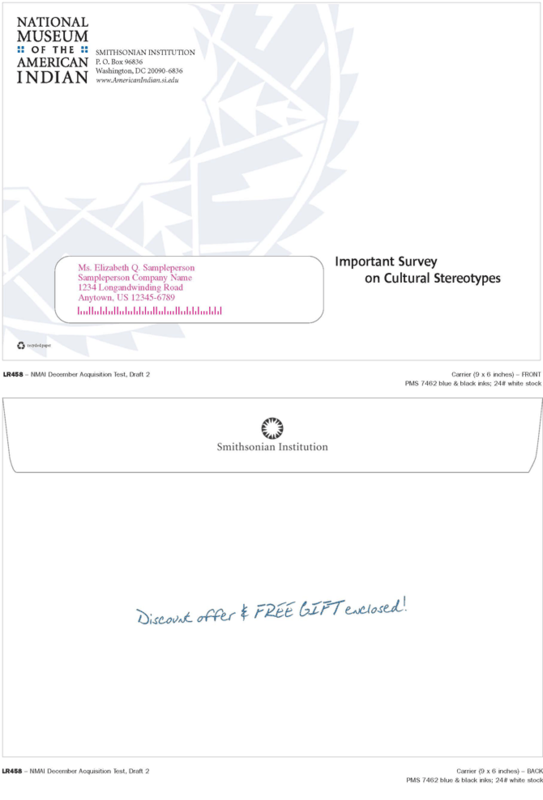 The package contained a four-page letter, a seven-question “Cultural Stereotypes” survey, four four-color 3x8 bookmarks, and an RAE, all in a unique 6x9 carrier. Faux handwriting within the letter gave the package an extra sense of personalization, while the survey was a great way to engage prospects on dispelling stereotypes. 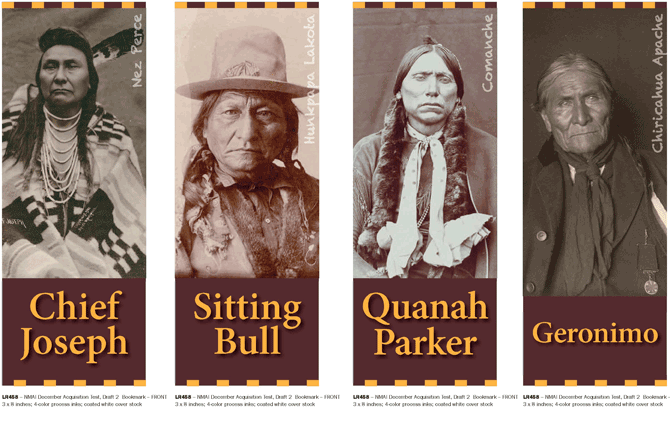 The beautiful full-color bookmarks – with pictures of influential Native Americans, along with stories of how their lives impacted their communities and the world – really made the package stand out. We mailed to a mix of outside lists and lapsed donors from 2000 to 2010, to tremendous success. The new package outperformed the old co-controls in every metric. 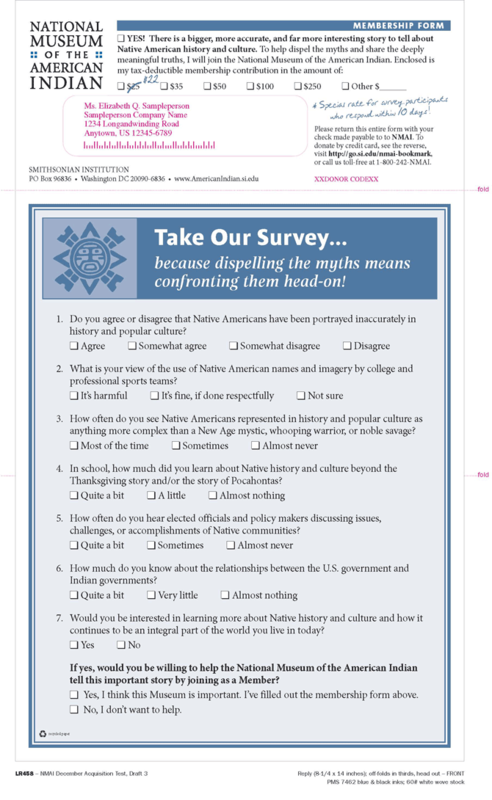 It had a 50% higher response rate than the co-controls and one of the highest response rates for NMAI’s direct mail acquisition in more than four years. The strong average gift was also 10% higher than controls, and the highest average gift for direct mail acquisition for more than a year. And, despite the additional new package costs, the Dispelling Stereotypes package cost 9% less than the co-controls, which led to an incredible 56% lower investment per donor than the co-controls. This is the lowest cost/donor in more than four years. All in all, this package more than achieved its goal of bringing in substantially more new donors at significantly lower costs.